Help Kiera Vale discover her ancestor’s history as she explores Blackwater Asylum in Nightmare Adventures: The Witch’s Prison! After receiving a mysterious letter from Alton Quinn, Kiera sets off to find out about her birth parents. Finding Blackwater Asylum to be in a state of disarray, Kiera begins exploring the grounds looking for information about her family, and Alton’s mysterious secret. 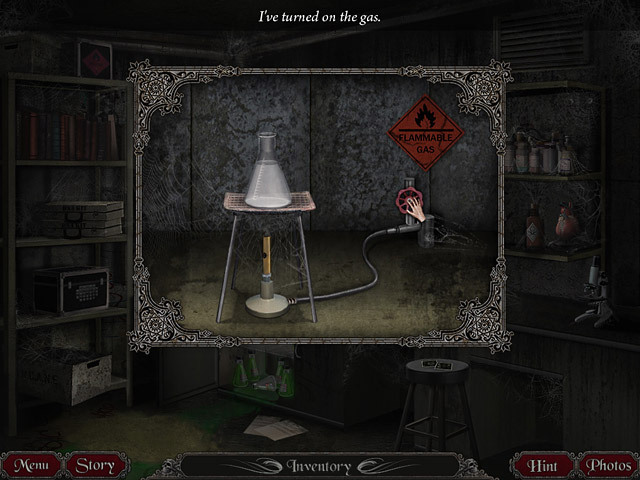 Help her discover the truth in this Hidden Object Puzzle Adventure game! Nightmare Adventures: The Witch's Prison is rated 4.1 out of 5 by 116. Rated 5 out of 5 by TrinnyGamer from Bloody amazing game!!!! They just don`t make em like this anymore, and that`s sad. I bought both games in the series as I remembered I had played it on my iphone ages ago and loved it. I started with the 2nd in the series (marvellous) and then moved on to the next, The Witch`s prison. First, you have to get over the graphics, which is cool once you get used to them. The game has one of the best storylines and there are such great puzzles. I adore the puzzles. A worthy challenge. I more than reccomend this game to a puzzle player who wants a challenge and a cool storyline. Rated 5 out of 5 by Tr1n1ty85 from More please!! I love this game, and it's sequel. Mysterious, challenging, engaging, great music and effects, and great re-play value even after you've solved the mystery! A mysterious letter, a creepy abandon asylum, and a deep dark family secret are all pieces Kiera Vale must fit together to find the truth about her past. Rated 5 out of 5 by Aniridia from More Satisfying Than The Others This one had the most fantastic writers ever. I don't know who it was, mind you, but the storyline is just really good, but then, and yet, really well written. I never felt like I wasn't being entertained just because I couldn't attempt a puzzle yet; it always said just the right thing. The artwork is good, nothing to complain about, kind of old fashioned, with little creative touches but not, like, new technology special effects or something. Still, I felt carried away by the details of the story and the basic but high quality visuals. It was easy for me to imagine myself the protagonist, in spite of the level of fantasy and humour, which I crave and click into anyway. It had a great mood to it. The music was nice. I don't think there were any voiceovers (I can't complain, there). I don't remember any junkpiles (a plus because I hate those). I loved all the searches in this game, even when I occasionally had no clue where to look and neither did the game. I prefer access to clues and maps that jump me, just in case I freeze or zone. Next time jump me, but I did get used to the lack of arrows. Another thing I loved about this interactive fantasy-game was the abundance of really well designed puzzles that required skill and thinking, but actually followed logic and made sense as well, very rewarding, all over the game, thanks. 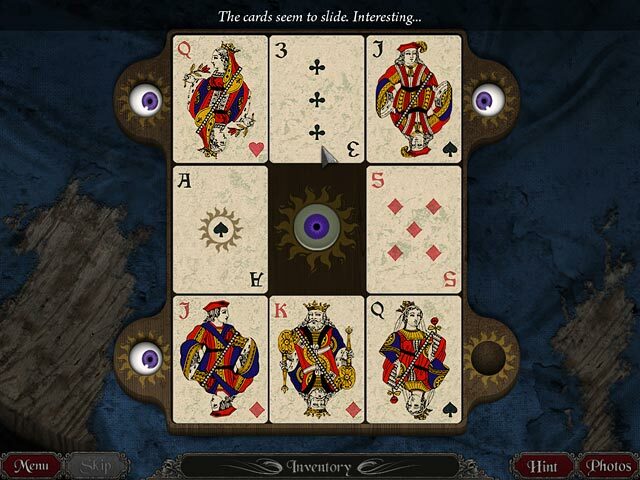 Rated 5 out of 5 by smilingsun72 from Wonderful! 5 Stars across all catergories! I absolutely loved this game. It was so like the first adventure puzzle games that came out...the ones that made me search every part of the scene and puzzles that made me really think. And the story kept me engrossed all the way to the end, which left my jaw dropping in surprise. I can say this was truly an adventure for me! I can't wait to play the sequel. I wish BF put games like this in a category all there own so folks that like these kinds of puzzles didn't have to dig through all the others to find them. Rated 5 out of 5 by Lucy110404 from Exeptionally good Like many others I feel myself reminded of the old times adventure games. There is a lovely compromise here, kind of a bridge. It's kind of sweet, I appreciate this so much. Remembers me of playing "Myst" or "Black Mirror". It is a good game to come back down. But also there is a hand. Only criticism: There was one time where the hint in combination with the map completely failed. The atmosphere is spooky throughout, nothing to play with children. Rated 5 out of 5 by Amijane from Soo good! This is not an HOG! This is a thrilling adventure play where you can feel the spooky creep and yet get a laugh once in a while! I just found this game and I am looking forward to play the rest of the nightmare adventures!! Rated 5 out of 5 by MissEricaX from One of, if not my absolute, favorite Puzzle-Adventure I can't say enough about this game really. I first played this 1-2 years ago and it actually revived my love for HOAs and PAs. My first love in the 90's was Myst and once the mid 2000's hit, those games kinda took a backseat to other interests. After searching for random games on my tablet awhile back, the title and photo caught my attention. Despite the not-so-great rating (at the time) I decided to play/buy it anyway... so glad I did. 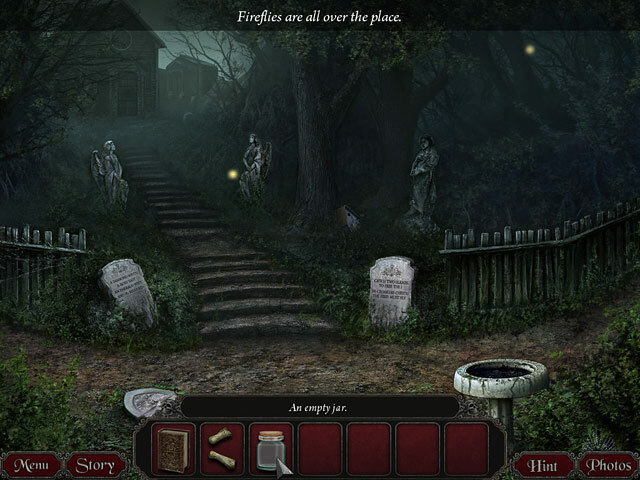 If you're into the dark and macabre atmospheres and plots or slight "horror" themes, challenging puzzles (that actually make sense in the game), true detective style gameplay, and no ridiculous hand holding where the black bar hints, sparkles and cursor all tell you exactly where everything is and what to do with it, then you will LOVE this game. Wish there was a sequel or more like it! Rated 5 out of 5 by samstiles from Really enjoyable I thought this was a great adventure game. There was a great range of puzzles that were just hard enough, without being hair pulling. I really enjoyed the story and thought it was well thought out. And left it open for a sequel. Some of the puzzles I felt didn't have enough instructions. So I would have to go into the walkthrough just to find out what I was supposed to be doing. And I did find that annoying. But all in all I thought this was a great adventure game. Rated 5 out of 5 by FireAngelAnna from If you like a challenge... This game falls on my all-time favorite list, including the sequel. It has a pretty high level of challenge so it might not be some gamers thing. I love the feeling of accomplishing a hard puzzle with no clues and no hints. I also like that this game has an intuitive feel. I was only occasionally left wondering where to go next. I like how it also pokes fun at some of the seriously stupid and nonsensical HOS games out there. This game has no traditional HOS scenes, which I actually loved. They get really, really boring to me. The story is very good and is on par with big budget games. The voice acting and script also is excellent with some great humor and a few spots that made me jump. So, in short, if you like a good story (horror/thriller/sci-fi), real characters, and a high level of challenge then give this game a try. 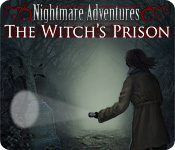 Help Kiera Vale discover her ancestor’s history as she explores Blackwater Asylum in Nightmare Adventures: The Witch’s Prison!